It's time to tackle what I find to easily be the best of the House of the Dead series - the fourth game! By the way, does anyone know what's up with the "2, III, 4" numbering convention? The Nintendo Switch has just come out and already we're seeing some amazing games out for the system. But what is the best one? You'll never believe it. 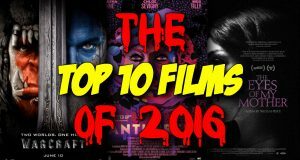 This week The Horror Guru lists his favorite films of 2016! Let's take a look at a more fast-paced house of the Dead! This seems to have more enemies than its predecessors had, and one ridiculous shotgun! Let's go crazy! 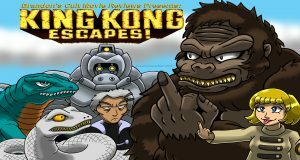 With King Kong returning to theaters, time to take a look back at "King Kong Escapes" (1967), where Kong fights a robot double made by Dr. Who! Why does this New Zealand parody work when so many other vampire comedies are flops? A Patron requested we watch The Monster Squad, and we did! Let's take a look at the game that started the series! And yes, there is definitely a house, and there are definitely dead things wandering the premises! Daikatana? On Gameboy? That's right, today Yomarz looks at the oft forgotten Gameboy Color port of John Romero's famous flop, Daikatana. Yomarz is about to make you his b... est friend! This week The Horror Guru & Count Jackula review Jordan Peele's GET OUT!